There is no denying that champagnes are some of the most celebrated drinks in the world. No party is complete without a bottle of champagne being popped. There are a plethora of these bottles available, from the highly affordable ones to the insanely priced ones that will baffle your mind. Akin to the vintage or all the excellent wines, each bottle of these drinks has a rich background. Here is the history of premium champagnes worth your attention. The Moët & Chandon is one of the widely acknowledged brand in the world. This French bubbly was first established in 1743 by Claude Moët, who began shipping the delivery of the wine from Champagne to Paris. Currently, it owns a vast land of vineyards that have an annual production of about 28 million bottles of champagne. The company was renamed Moët & Chandon in 1833 when the director of maisson4, Pierre-Gabriel Chandon joined the company as a partner and it began marketing its first vintage champagne in 1842. Some of its early leading consumers were nobles and aristocrats. The merger with Hennesy Cognac in 1971 and Louis Vuitton in 1987, which gave rise to LVMH allowed the company to be the largest luxury group in the world. Some of the product range includes Moët $ Chandon, Imperial NV, Grand Vintage Blanc, Rosé NV among others. Founded in 1760 by Francoise Delamotte, Lanson Champagne is characterized by the Gold Label vintage, the prestigious Noble Cuvée Brut Vintage, the non-vintage champagnes lie White Label, Ivory Label, Rosé Label among other champagnes. Lanson delivers champagne to the UK’s royal family, which is perhaps why the bottles display the coat of arms of Queen Elizabeth II. The company has since its inception changed ownership several times. In 1996, Boizel-Chanoine Group (BCC) bought Lanson International to form Lanson BCC. 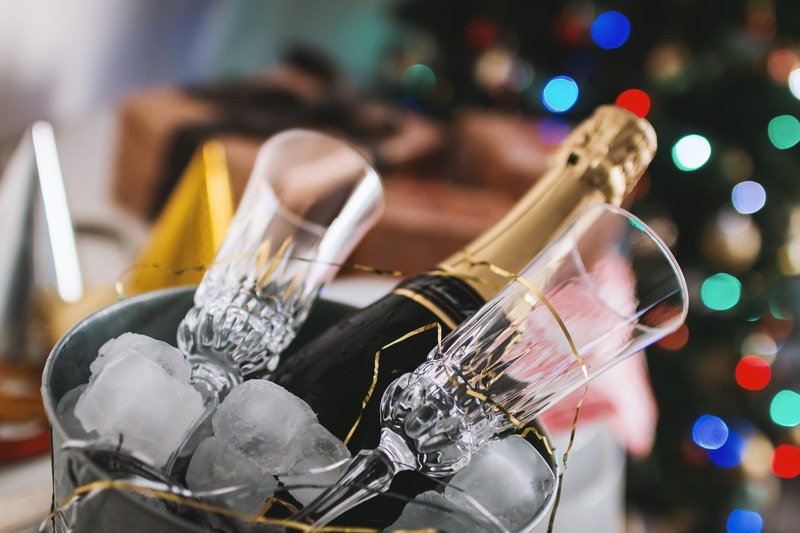 The annual sales of this champagne brand are approximately 4.2 million thanks to its production process that doesn’t involve the malolactic fermentation. This is the reason why the Black Label Brut NV is hailed for its natural freshness and the prolonged aging ability. The G.H Mumm is Famous for the red stripes and the appearances in motorsport events like Formula 1. It is owned by Penrod Ricard, the world’s co-leader in wines and spirits, and is currently the fourth in global ranking regarding bottles sold. It was founded by three German brothers, Jacobus, Phillip and Gottlieb Mumm in 1827. In 1852 when Goerges Hermann Mumm took control of the champagne house, better cellars were constructed and by 1900, the production was 3 million bottles. Like other brands, the G.H Mumm still supplies champagne to Queen Elizabeth II. The brand now sells more than 8 million bottles a year and is the leading brand in France. Its wines are also sold in more than 150 countries. Brut Gordon Rouge, Brut Rosé, Cuvée R. Lalou are some of its product range. It is the world’s second largest champagne brand that has seen many transitions in the past decade. This premium brand was established by Phillippe Clicquot-Muiron in 1772 and is credited with a significant breakthrough in handling the drinks. It invented the riddling rack, which made disgorgement more economical and efficient. The process allowed the collection of the used yeast left in the bottles from secondary fermentation using the rack. The champagne in 1811, under Madame Clicquot, Phillipe’s son’s widow, was the first to transport the bubbly through the cordon to Russia. The brand has a unique design of bright yellow labels that distinguish it from other champagnes, and it also holds the royal warrant from Her Majesty Queen Elizabeth II. The Brut Yellow, Rosé, Cave Privee, La Grand Dame among others are some of its product range. With Brut NV, Ultra-Brutt, Alexandra Rosé, Rosé NV and others being its product range, the Laurent-Perrier brand is among the top leading premium champagnes. This bubbly is characterized by the 16th-century style bottle of the famous rose. The champagne has a high content of Chardonnay, which gives it the lightness and the freshness it represents. The company was founded in 1812, and it exports wine to more than 120 countries worldwide. The company had hit success in the beginning before the World War I which shattered its markets. The outbreak of the second world war also affected the company, and it was sold to Mary Louise de Nonancourt, a name which still retains the majority of the ownership, in 1939. The brand has, since then, only grown stronger to become one of the leading suppliers of champagne today.